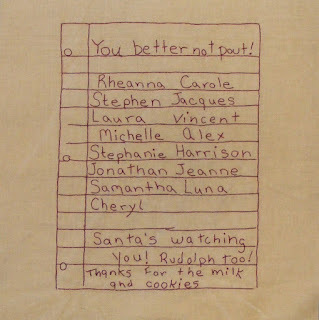 Quilting Adventures: Santa's Coming to Town.... well not yet anyway! I'm still here! I did manage to finally piece the center of the General's Wives quilt .... only because I needed my design wall for another quilt. 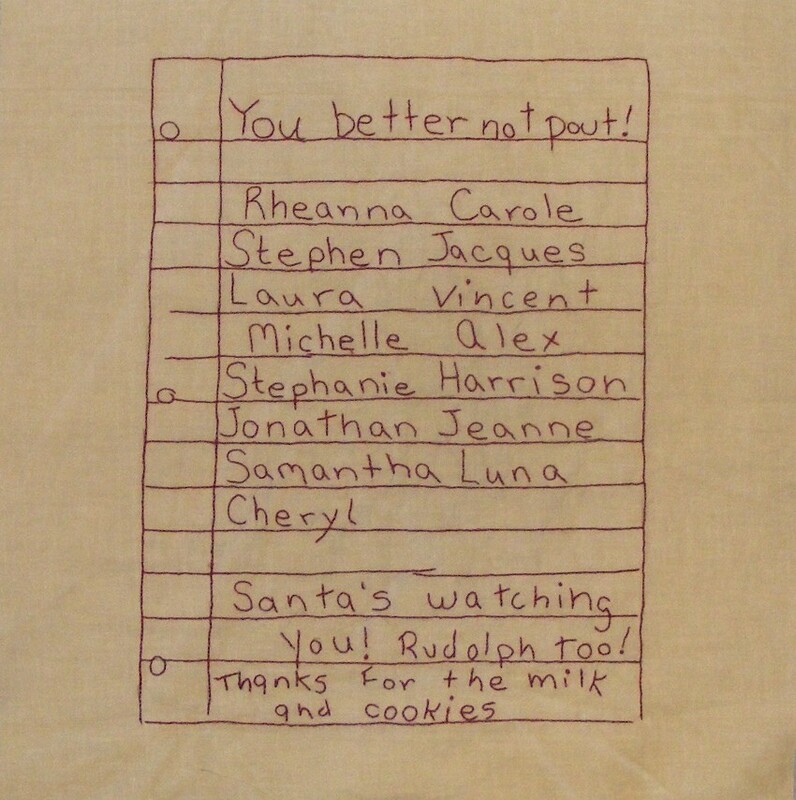 As you know, I have been doing a lot of hand embroidering. I am in need of a mindless project, something that soothes the mind and is not demanding. Guess what? Yep, Another block done! I must admit, stitching writing is my least favourite! There's just something about it that I haven't figured out! All I can say... it's done... no more for that quilt! Thank you so much for stopping by. I know that I've been a solitary blogger as of late; mainly due to my need to retreat and regroup. Thank you for your understanding! That is a fun block, and it would be nice to personalize it for your family. I am still working on my sister's quilt, finally got some machine piecing done, and now I am doing some finish work and words, so hoping I can finish it this week. Congratulations on being the sole owner. I am sure you must have a million ideas. 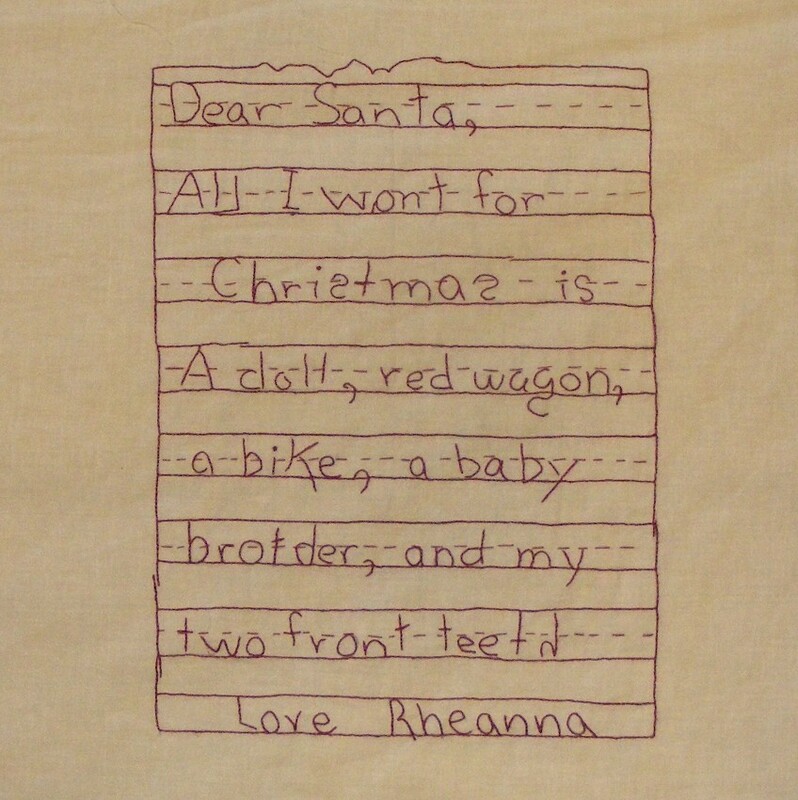 Love the cute list and letter stitchery. Congratulations on the changeover! Regrouping is necessary, so hang in there. 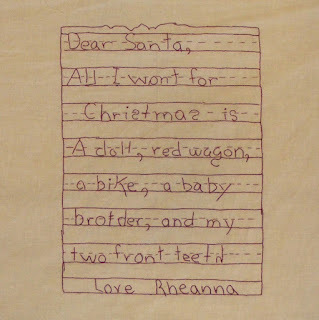 I don't like embroidering writing either -- it's just not terribly exciting -- except maybe on those cute blocks of yours! Congratulations! Love, love, love the blocks.